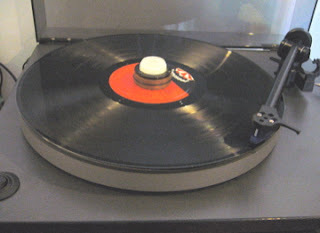 RP1 is the new entry level turntable (TT) replacing P1/P2 which have been discontinued. 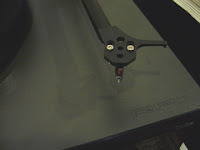 For analog newbies who are anxious to join the Rega camp, they might be interested to know how different is RP1 compared to it's predecessors, P1 & P2? Does RP1 perform better than P1 and P2 or it's just in between? 5. Main bearing - same as P1 (12mm brass bearing), P2's brass bearing more heavy duty (18mm, same for P3/P5/Planar 2/3). What are the main differences in RP1? RP1 comes with a moulded phenolic resin platter (~ 600g) which is something new; P1 and P2 both used MDF board platters ( P1, ~700g ; P2, ~1000g ). 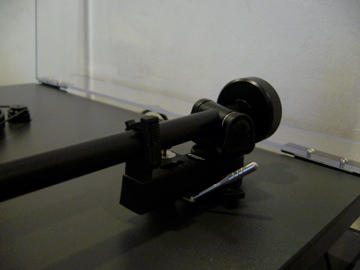 For RP1, RB101 is a one-piece construction, from headshell to counterweight stub whereas for P1 (RB100) and for P2 (RB250/RB251) the tonearms are both with removable plastic stub. All three models use steel counterweights. Take note that for RB101 we can change only the counterweight, not the stub. 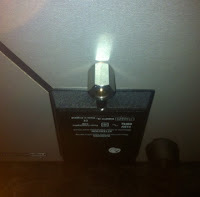 The cartridge's job is to pick up what's produced from the record groove to be amplified by the amplifier. It's never wrong to get a good cartridge, but it's not worth having one if what it's being picked up from the record groove is not optimal. 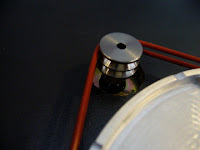 3-point stainless steel spacer for correct VTA and rigidity. I did receive the items about a week a go and am very happy with the results. Your wonderful products have changed my boring stock RP1 both sonically and asthetically. Thank you again for your great service! This electronic speed control is for Pro-ject and other turntables. 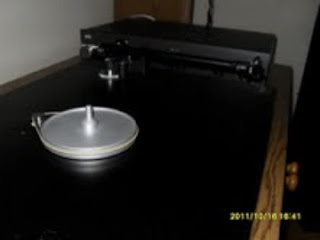 It can be used for both 230V and 16V AC turntables. 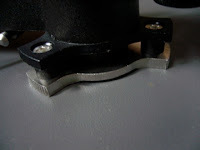 Besides the standard 33/45 rpm speed selections, the motor speed is fine adjustable in +/- 20 steps. 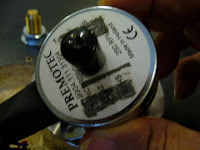 Another point to note is the belt must be on the smaller (for 50Hz models) and larger (for 60Hz models) diameter part of pulley slot while in use with this PSU . Music Hall Cruise Control 2.0 which is cost effective, can be used for both 120V and 16V AC turntables. 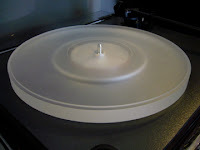 With nominal speed selections of 33 and 45 rpm, you can spin 78 rpm lp's by fitting an optional 78 rpm pulley. It also has a 20 step/0.1 rpm pitch (or speed) control adjustment for you to fine tune to desirable speed. The Cruise Control requires the belt to be on the 45 rpm pulley slot. 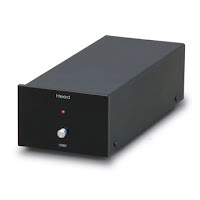 Heed Orbit can be used with any turntable with a 4 pole, 110V AC synchronous motor consuming up to 3W electric power. 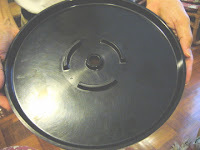 By a push button the speed can be changed between 33.3 and 45 rpm. However for Heed Orbit 1 outputs @110V AC, it requires a small modification (removing the capacitor used to provide phase shift) on the motor circuitry. Heed Orbit 2 outputs @230V AC is more straight forward, a Plug and Play upgrade (no modification required) for 230V turntables which use 110V AC synchronous motors. Other than those mentioned above, there are also many other third party and DIY TT PSUs' available in the market. It would be fun to find out more for yourself! Why the need for a TT PSU ? 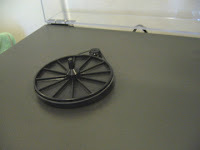 Rega belt-drive turntables are using AC synchronous motors. The speed of an AC synchronous motor is dependent on the frequency (50Hz or 60Hz) of the power supply which means any fluctuation in this frequency is going to affect the speed of TT motor and thus the sound effect of the turntable. Basically when we desire a stable power supply with very low distortion to run our turntable , a TT PSU which uses a crystal locked low sine wave distortion generator will help to do the job. The TT PSU will bring about better frequency stability and thus sonic improvement to our system especially if the power supply for our location is not clean. 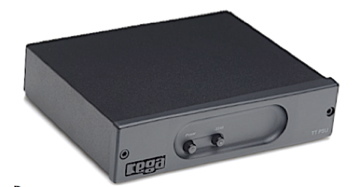 The Rega TT PSU outboard power supply developed for Rega P7, is also offered as option to P3-24 and P5 since both of them are using 24V AC synchronous motors too. On this TT PSU, there are two speed selections (33 and 45 rpm) with a simple push button. But other than these two specific speeds, it's not user adjustable to slightly higher or lower speeds should your TT runs slightly faster or slower. 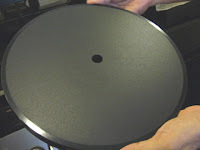 Clearly, for earlier models of Rega turntables (e.g. Planars,..., P25) with 230V or 110V motors, this TT PSU cannot be used directly. You must first upgrade its motor to 24V motor before it could be interfaced with the 24V output of this TT PSU. "The TT PSU, an optional outboard power supply originally developed for the Rega P7 turntable, produces a stable voltage, synthesized by a quartz oscillator, that drives the motor more precisely. 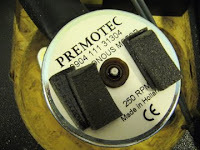 It also permits convenient pushbutton selection of the P3-24's two speeds (33 and 45rpm). It's not retrofittable to the original P3, unfortunately. Gandy told me that the TT PSU offers a "small improvement" that can't be quantified. "It's not enormous," he admitted, adding that the better the incoming electricity, the less noticeable will be the sonic improvement........."
So it depends on if you are comfortable with the condition (stability) of power supply in your area or if you would like to enjoy the benefit of easy switching between 33.3 rpm and 45 rpm by a push button instead of manually adjusting belt positions on the pulley (in the case without a TT PSU); the belt remains in 33.3 pulley slot with the Rega TT PSU. 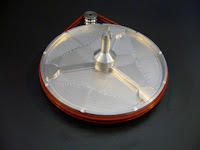 This is supplied with all P7 turntables (P7 uses 24V, 50Hz motor and a 50Hz pulley). 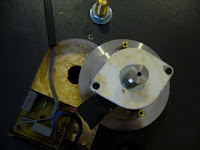 It is also for the upgrade of any 50Hz turntable with 24V motor( e.g P3-24, P5 ). 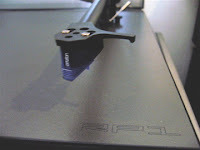 Those older Rega TT's e.g Planar 3, would have to upgrade to a 24V (50Hz) motor first in order to use this TTPSU. This is for the upgrade of 60Hz turntables with 24V motors. 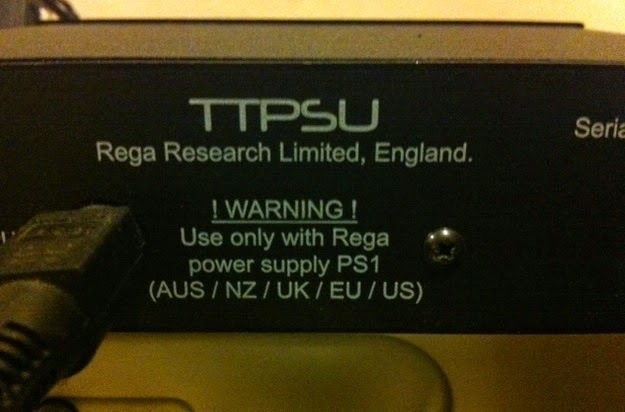 This US version TT PSU cannot be used with P7 since P7 are of 50Hz pulleys. The above new TTPSU for is my RP6 with 50Hz pulley. RP6 for both Europe and North America regions are using the same TTPSU and they have the same 50Hz pulleys from what I have gathered.
" I enjoy the analog sound very much now! " This is great news to me and I am always glad to hear this from fellow tweakers! Whatever system you have and whatever upgrade path you take, the important point to remember is : you must be happy with what you are listening! It's interesting to be in this analog world. Every system is unique, with or without upgrades. There's no two systems which would sound identical, in fact. 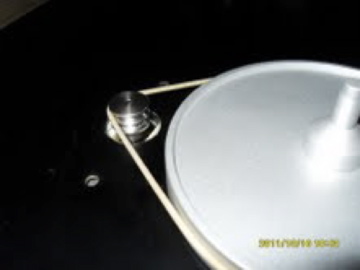 And that's what makes tweaking turntables fun and challenging! What a wonderful hobby we have!